Adrienne Brock and David McLoghlin, a husband and wife team, founded it in September 2013, and have run it ever since. The American eagle and the Irish wren reflect our American / Irish origins. Primarily poetry and fiction, but we also welcome nonfiction and sometimes staged readings of plays, and music. We have five readers every month. Reflecting our name, we pair magazine- or journal-published writers with a poet or fiction writer who is more established. Typically, we will have either three poets each month and two fiction writers; and to balance that, the following month we will have three fiction writers and two poets. BookCourt bookstore at 163 Court Street, in Brooklyn. Our events take place at 7 p.m., on the last Sunday of every month, for an hour and half. We run from September through May, and break for June, July and August. Or on BookCourt’s events page. We do a combination of solicitation and submissions. Previous readers introduce us to their friends, or members of the audience ask us if they may submit. 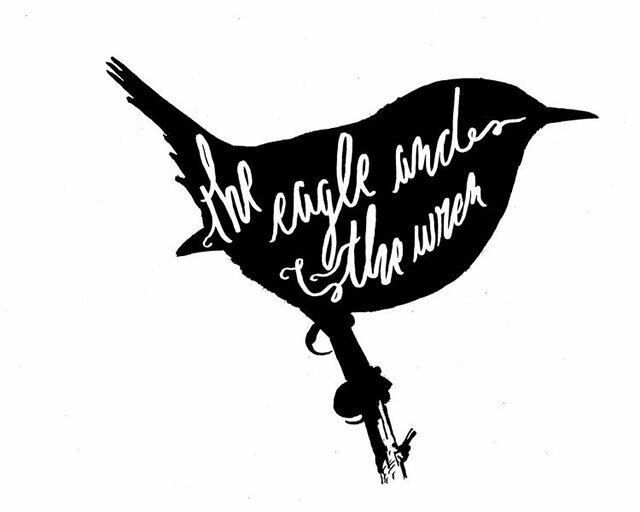 We welcome submissions of up to 15 pages of poetry, fiction or nonfiction, at our email address: theeagleandthewren@gmail.com. Our initial goal was to pair emerging and establish writers, which is something we continue to do. We also wanted to make sure that female writers received a fair representation. Several months into our first season, we made an active policy of including writers of color. We also like, whenever possible, to include writers who do not have an MFA. What distinguishes The Eagle and the Wren is that although we are interested in quality work, we are also community-oriented, and stress the pairing of the emerging and the established.